These two densely populated areas of Glasgow have seen some major changes over the past 100 years: the building of the Clyde Tunnel led to the demolition of numerous tenements in Whiteinch, whilst virtually all of the heavy industry ranged along the Clyde in this part of the city has now vanished. 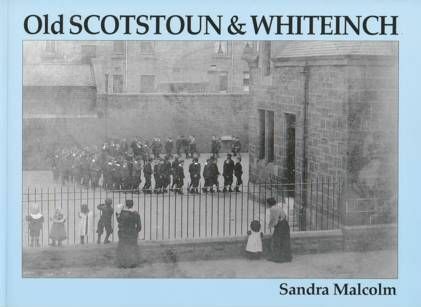 Included among this selection of pictures are such unlikely subjects as Balshagray Farm and a group of thatched cottages at the corner of Anniesland Road and Lincoln Avenue, both now long-gone. There are also views of Barclay Curle's and Yarrow's shipyards. Pictures of vehicles made by Albion Motors (once located in Scotstoun), as well as numerous views of the trams that served these districts, plus a picture of an early bus and two railway photographs provide coverage of local transport. Elsewhere the changing face of Victoria Park is contrasted with the streets of solid tenements and sandstone villas that still make up much of modern Scotstoun and Whiteinch.